Nightforce Competition scope comes in two versions - 2013 Edition and 2014 version. This scope was manufactured as an improvement over the established long range riflescopes Nightforce Precision Benchrest and NXS models. Nightforce Competition 15-55×52 is crafted for the competitive shooters that will help them take advantage of the most advanced features to hit bulls eye every time they aim their target. Biggest advantage of this scope is its light weight. It weighs just 27.8 ounces. In comparison to Nightforce Benchrest 12-42 x 56 and Nightforce NXS 12-42 x 56 this scope is lighter by 24 per cent and 20 per cent respectively. This Night Force scope boasts of coming with 92 per cent light transmission, .125 MOA elevation and windage adjustments (standard Hi-Speed), and standard ZeroStop feature. 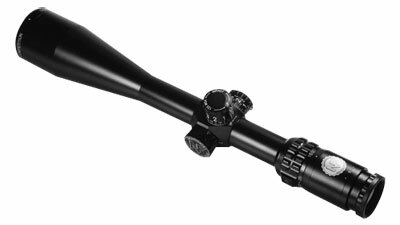 Check out the Nightforce Competition 15-55x52 scopes listed here at Scopelist and Buy Now! Customers can avail expedited shipping absolutely free on purchase of over $500. No Tax. What are you waiting for? Buy Nightforce Competition scope Now at attractive price.